The best hatter in the world had his hats stolen by a space magician! Help him regain his hats without losing any along the way, in this action platformer game where you need to balance your hats while facing waves of enemies. 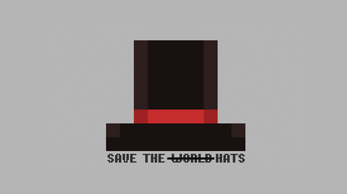 The more hats you have, the more powerful you'll get, but the harder it`ll be to keep the balance! 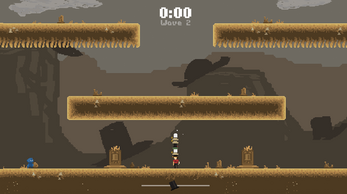 Game developed for the Ludum Dare 40, with the theme: The more you have, the worse it is. 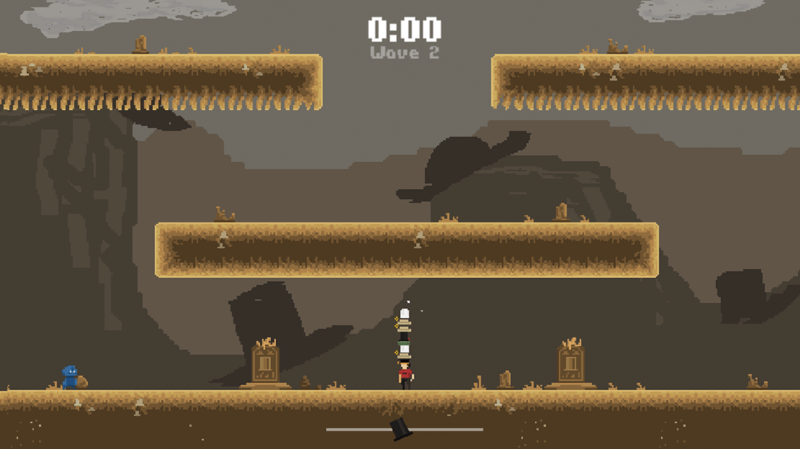 Use WASD to move, SPACE to jump, and MOUSE to attack and retrieve your hat. And remember to balance your hats! O melhor chapeleiro do mundo teve os seus chapéus roubados por um mago espacial! Ajude ele a recuperar os seus chapéus sem perder nenhum pelo caminho, neste jogo de ação e plataformas onde você precisa equilibrar os seus chapéus enquanto enfrenta ondas de inimigos. Quanto mais chapéus, mais poderoso você fica e mais difícil de manter o equilíbrio! Jogo desenvolvido para a game jam Ludum Dare 40, com o tema: Quanto mais você tiver, pior é. Utilize WASD para mover-se, ESPAÇO para pular, e o MOUSE para atacar e recuperar o seu chapéu. E lembre-se de equilibrar os seus chapéus!